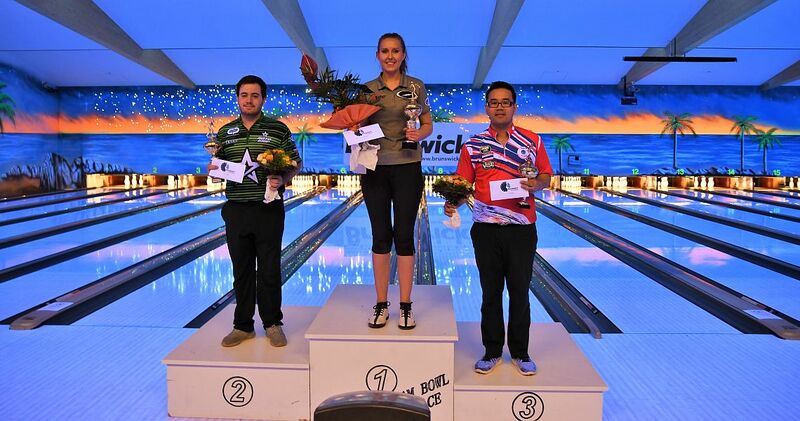 Jenny Wegner of Sweden defeated two opponents in the stepladder finals of the 15th Brunswick Euro Challenge Sunday at Dream-Bowl Palace in Unterföhring near Munich, Germany, on her way to her first European Bowling Tour title. 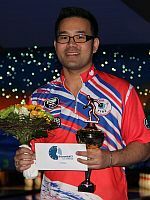 The two-time European Bowling Tour point ranking leader (2015 and 2017) finished the match play portion of the finals in second place to earn the no. 2 seed in the three-player stepladder finals. 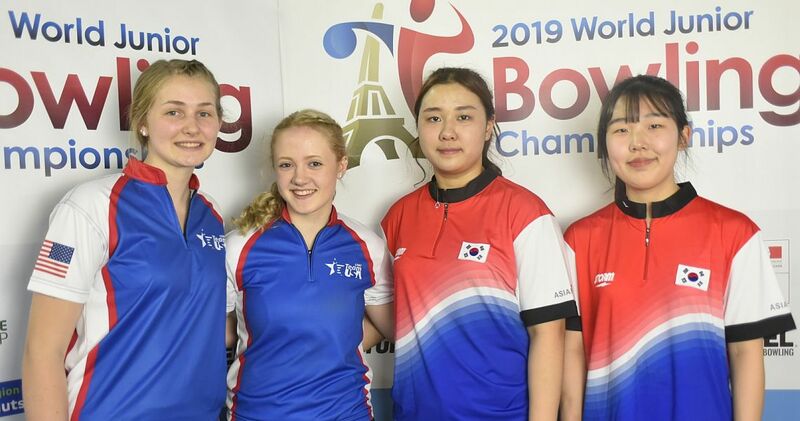 In the opening match Wegner (above right), who received eight pins handicap per game, eliminated last year’s runner-up, Yannaphon Larp-apharat (left) of Thailand, 233-214, for the right to bowl top-seeded Anthony Simonsen for the title. 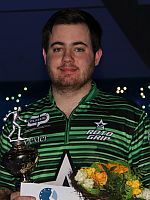 After winning his first EBT title in the 30th Irish Open Championships, Simonsen was looking for back-to-back EBT titles and his fourth Professional Bowlers Association title. 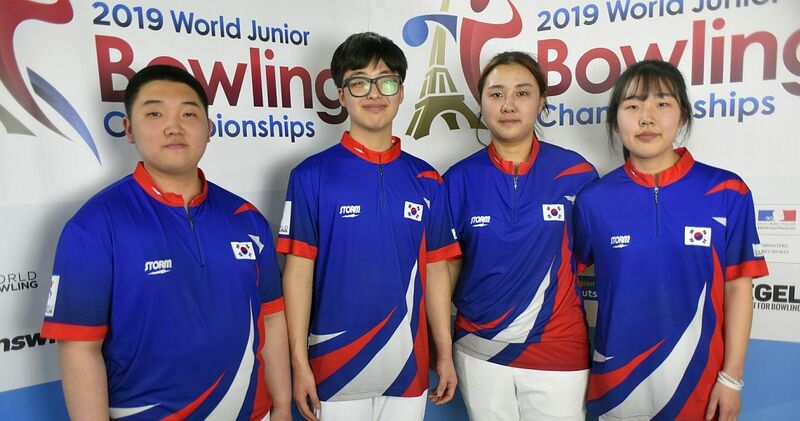 The 21-year-old two-handed right-hander, who started match play with his second 300 game of the tournament and the record 24th overall, followed by 287 and 278 – an 865 series – fell behind early when Wegner, the 2016 QubicaAMF World Cup women’s champion, started the title match with five strikes. 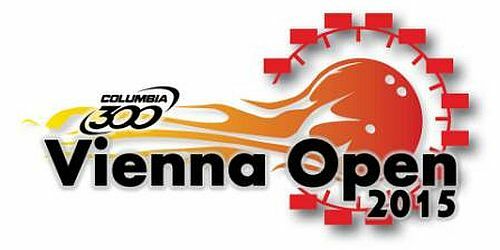 Despite three open frames in the last four frames by Wegner, Simonsen (right) managed only a 213-211 scratch win, but Wegner added eight pins handicap to hold off Simonsen for the title, 219-213. 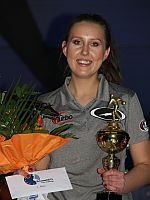 Wegner received 11.500 Euro for her first victory on the European Bowling Tour. She is the 26th woman in the 19-year history of the EBT to win an EBT title and the third in four events this season. The only male winner in 2018 is Simonsen, who pocketed 8.500 Euro for second place. Yannaphon walked away with 5.500 Euro for third place. 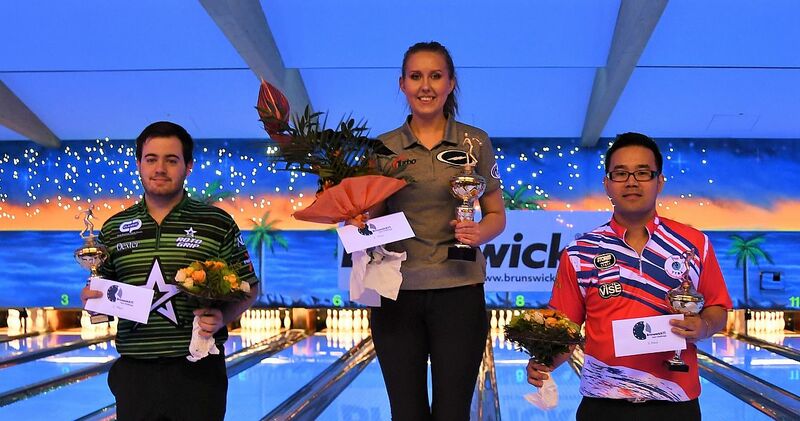 The 15th Brunswick Euro Challenge was the fourth stop on the 2018 European Bowling Tour and the first of two EBT “Platinum” events this season, the highest of the five EBT tournament categories (platinum, gold, silver, bronze and satellite). 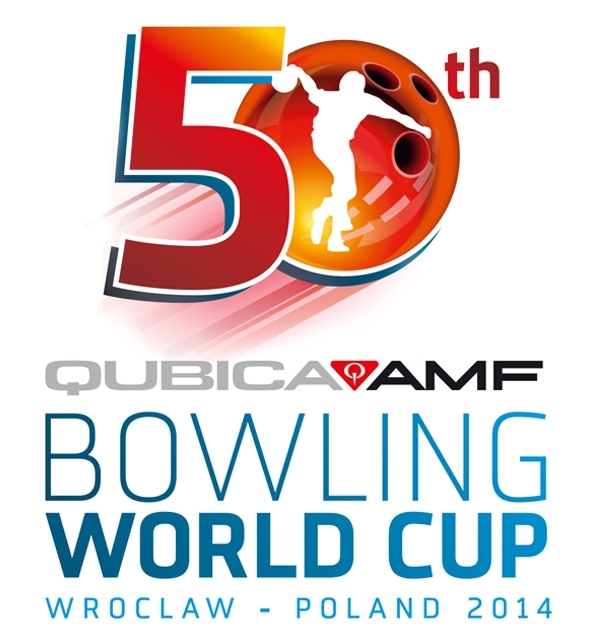 The BEC, which was also the curtain-raiser to the World Bowling Tour 2018, was held from March 10-18 at Dream-Bowl Palace in Unterföhring in suburban Munich, Germany, the biggest bowling center in Europe with 52 lanes. 383 players from 36 countries competed for total prize fund of 105.000 Euro with 11.500 Euro going to the winner, 8.500 Euro to the first runner-up and 5.500 Euro to the third place finisher. Low to cash was 64th place, worth 800 Euro. Women received 8 pins handicap each game (up to 292 – maximum score is 300), an equality handicap provided to women in all EBT events. The top three women after qualifying (Cajsa Wegner, Siti Safiyah and Mai Ginge Jensen) received 1.200, 700 and 500 Euro bonuses, respectively. Qualifying ran through Saturday, March 17 and concluded with the ultimate one-game Desperado Squad. Total 64 players qualified for the finals on Sunday, March 18, including the top 50 in the overall qualifying standings, the top 5 each from a separate leaderboard of the squads conducted March 13-14 and 10-11, and the top 4 of the Desperado Squad. Round two pinfall was carried forward. During the seven games of match play, players received 30 bonus pins for winning a match and 15 pins each in the event of a tie. 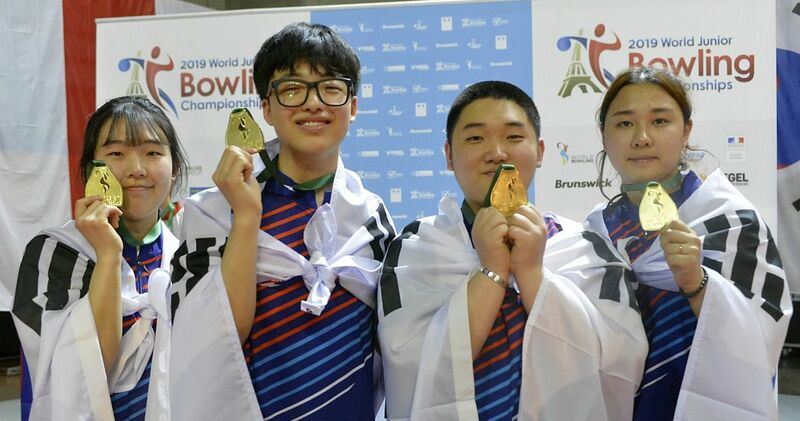 The top 3 players with the highest 13-game total, including bonus pins, determined the champion in a stepladder final. The No. 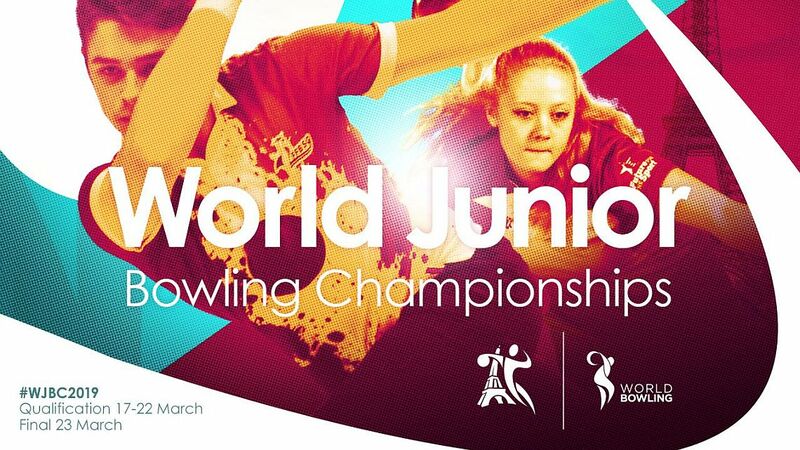 3 seed bowled the No. 2 seed and the winner of the semifinal match took on the No. 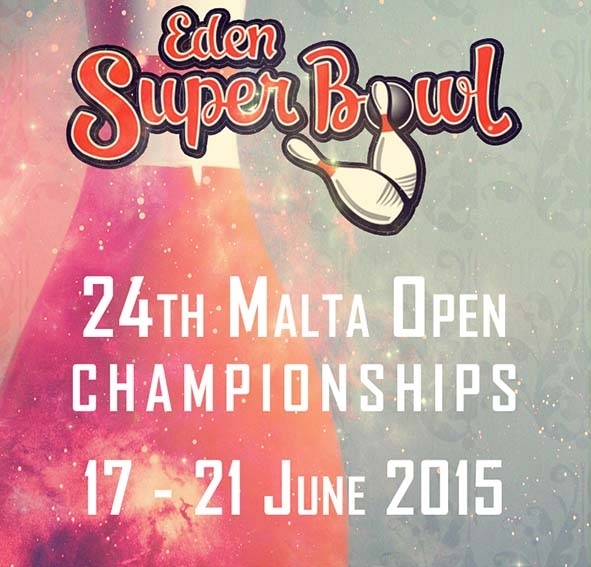 1 seed for the title and the 11.500 Euro top prize. 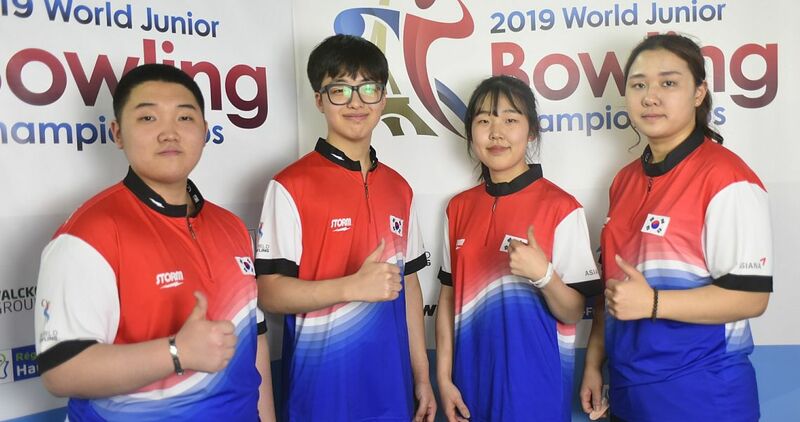 The EBT 2018 takes a one-month break before returning to Dolfijn Bowling Tilburg in Tilburg, Netherlands, for the Hammer Bronzen Schietspoel Tournament 2018, a “silver” tournament which will be held from April 15-22. Due to an agreement between World Bowling and the Professional Bowlers Association (PBA), World Bowling Tour tournaments award a PBA Tour title if the winner is a PBA member who doesn’t accept handicap pins. The WBt 2018 commences with the United States Bowling Congress Masters April 8-15 in Syracuse, NY, USA. From left: Simonsen (2nd), Wegner (1st) and Yannaphon (3rd). Championship: Wegner def. No. 1 Simonsen, 219-213. Wegner’s scores include eight pins handicap per game. 300 games (1 this round; 24 overall) – Anthony Simonsen. 300 games (2 this round; 23 overall) – Syafiq Ridhwan, Shawn Maldonado, Cherie Tan. 300 games (3 this round; 21 overall) – Syafiq Ridhwan, Shawn Maldonado, Cherie Tan.